Craigslist Finds – Wooden Crates! One of the places I love bargain shopping is Craigslist. Over the last few days, I’ve been scouring craigslist in search of the perfect coffee table.That is when I found these wooden crates for $20!!! 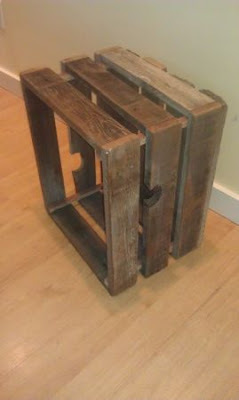 This coffee table wont work for our space but if only we can think of something to make with these cool crates…. Maybe a bookcase. I have more books than I have shelves. End tables? Toy chest (for the furry babies)? This entry was posted in Look What We Found! 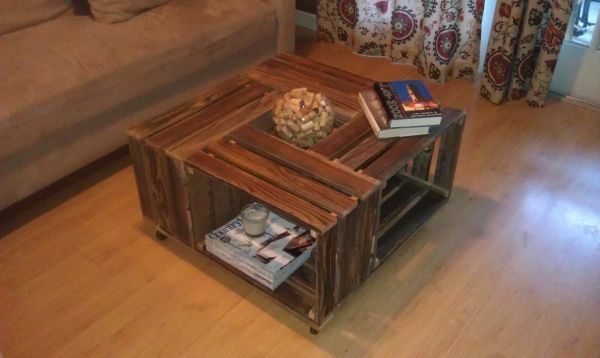 and tagged wood crate coffee table, wood crate furniture, wood crate idea, wood crates.